As we climb out of a housing crisis and more people qualify for government-backed loans, sellers and buyers must be aware of the guidelines set by the Federal Housing Administration, or FHA, for home appraisals and loan procedures. Sellers shouldn't lose out on 30 percent of the purchasing market by eliminating FHA buyers. Preparing a home for sale means adhering to the FHA inspection points, which are more stringent than those regarded by non-FHA lender appraisers. 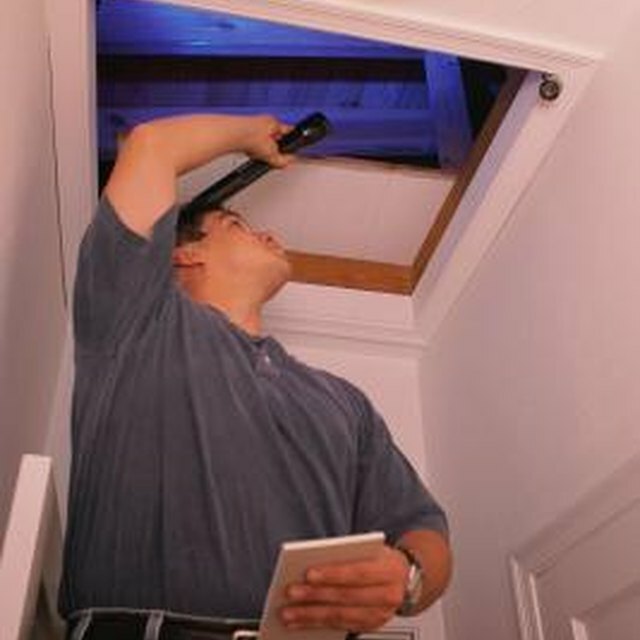 Before putting your home on the market, pay for a licensed home inspector to evaluate your property. He’ll issue a report on all the home’s systems, appliances and overall condition, indicating what needs to be repaired and the approximate cost. Don’t wait for an FHA inspector to find these same things and to declare the home unfit for an FHA loan. The property appraiser will ask what outbuildings belong to the property, and which belong to neighbors. This includes a shed that’s on your property, a pole barn, trailer or RV that is occupied by someone paying you rent, or even a garage with a rentable unit. Since FHA loans are for single-family properties, this renders your home ineligible for an FHA loan. If the home you’re selling is a “spec” house, built to be sold to others, it must be completely finished and have a certificate of occupancy. Issued by the local permitting office, this is a condition that gives the green light to an FHA appraiser, assuring him all permitting was accomplished, the systems are in working order, flooring has been laid, kitchen countertops installed and that the property is habitable. Only then will it qualify for an FHA inspection. The FHA requires mobile, manufactured and modular homes to be constructed and in place prior to June 15, 1976 in order to qualify as FHA-eligible properties. They must also be larger than 400 square feet and be classified in the property appraiser’s records as real estate, meaning placed on a slab or a permanent foundation that was built to FHA standards. When buying a condominium or cooperative apartment and depending on the FHA for financing, be sure the community, not the unit, is approved. Unlike single-family homes, condominium/co-op communities must undergo a rigorous qualification procedure in order for any unit to receive FHA financing. The FHA examines the homeowners association’s finances, reserves, the number of owner-occupied versus tenant-occupied properties, the number of delinquent assessments, the building systems and its overall condition before approving the community. The approval is good for two years, when approved projects must apply for recertification. Vial Fartheringham: Is Your Condo (Now) Eligible?